(VNFU Website) - This afternoon May 15th, in Hanoi, Vietnam Farmer's Union and Arrowfield Company of Japan held a signing ceremony of the cooperation agreement in supporting the development of agriculture and farmers in Vietnam. VNFU Chairman Lai Xuan Mon and Mr. Yano Hideo, Chairman of the Board, Director of Arrowfield, Japan and representatives of the relevant departments attending the signing ceremony. The objective of the cooperation is to improve of agricultural yield, taste, cultivation quality, shipment quality, and distribution quality for agriculture and farmers in Vietnam. It is also to contribute to the socio-economic development and development of Vietnam's agriculture as well as cultural exchanges, mutual understanding between the two countries, Vietnam and Japan, at the same time, directly and indirectly contribute to the growth of exports of agricultural products of both countries towards the common economic achievements of Vietnam and Japan. 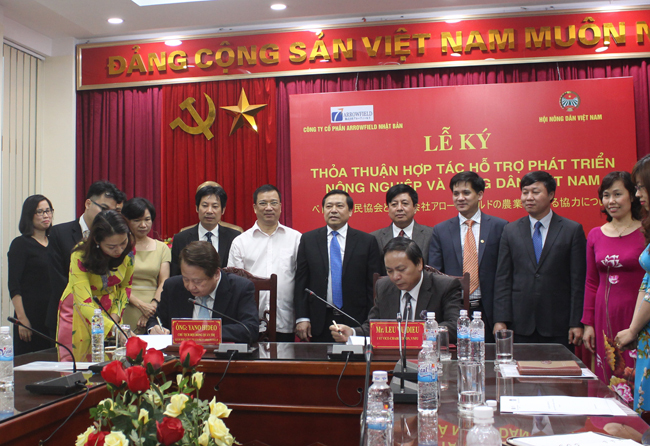 Speaking at the signing ceremony, Mr. Lai Xuan Mon, Chairman of VNFU said: In recent years, agriculture play a very important role in the social and economy of Vietnam, however, Vietnamese agricultural products are mainly exported in the raw material with high quantity but the quality and value of products are low. 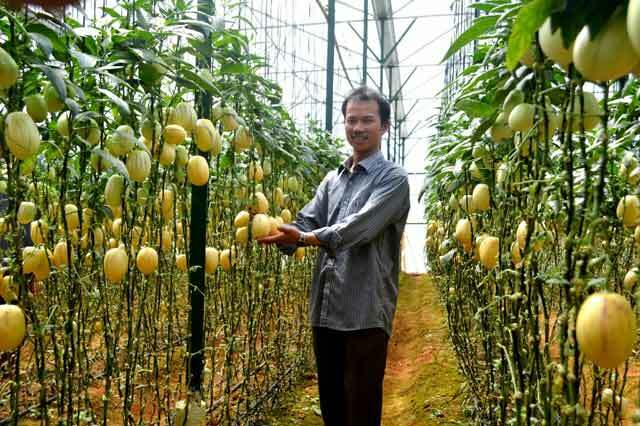 Vietnam is continuing to innovate and restructure its agriculture towards high technology, competitiveness, bringing modern and environmental friendly agriculture, increase income for farmers. Chairman Lai Xuan Mon affirmed that the signing will directly contribute to the mutual cooperation between the two sides and also contributing to the socio-economic development and development of Vietnam's agriculture as well as cultural exchanges, mutual understanding between the two countries, Vietnam and Japan, at the same time, directly and indirectly contribute to the growth of exports of agricultural products of both countries towards the common economic achievements of both countries. Create the best conditions to serve farmers, organizations and localities to develop high-tech agriculture. 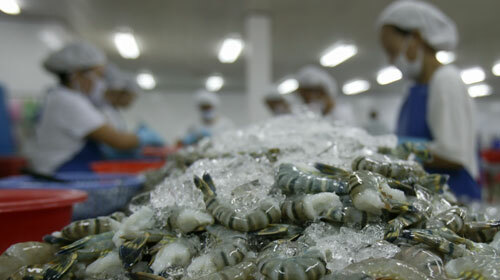 Vietnam's shrimp exports are forecast to reach about $3 million this year. Vietnamese exports target is 7,5% this year. Improve farmers’ income by applying new-style cooperative. Coffee production and business development situation in Dak Lak province. Forming wood chip processing factory from farmer group.